Our good friend, Ian Andrews, and his crew, Team Spicy Wanderlust, campaigned a 1971 Morris Minor through the 2016 Mongol Rally. 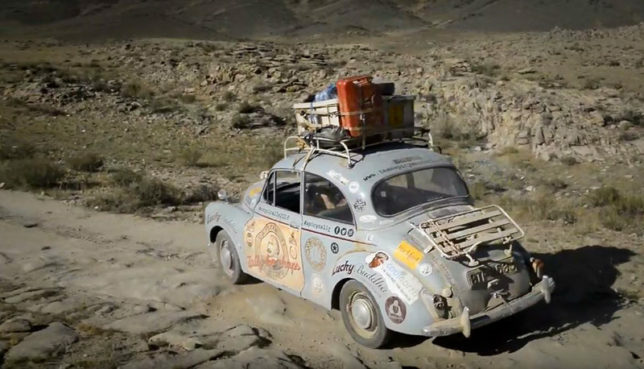 This rally starts from the UK and ends up in Mongolia, covering 16 countries and 10,000 miles. It took the guys 58 days to complete the journey. You can check out the crew’s adventure in this seven-minute short film Ian put together for the Oregon State University Adventure Film Festival. So this begs the question: What rig would you choose? Our sister site, Subcompact Culture, has more info about the Mongol Rally.